The most accurate way to track how your website is performing. This guide will show you how you can set up Google Analytics for your website. 1 Do you have a Google Analytics account? If you don't have a Google Analytics account, you will need to sign up for one. 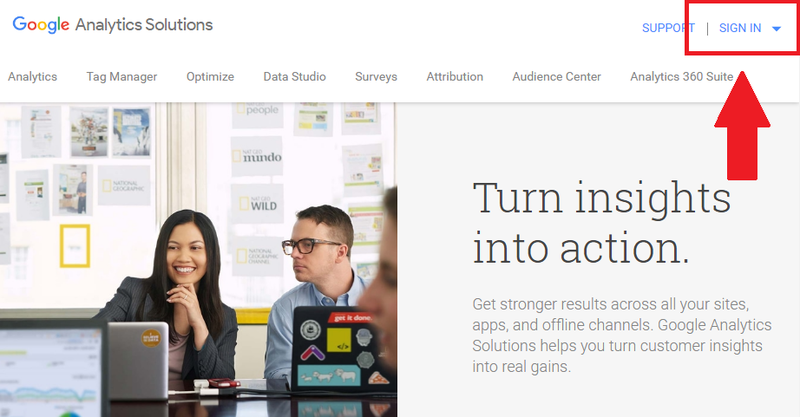 Go to the Google Analytics homepage. Click Sign In and then click Analytics. 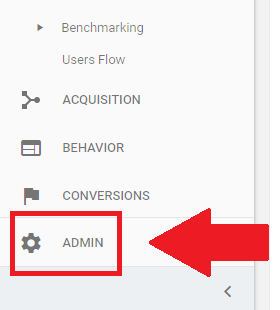 Sign in to the Google account that you want to set up Google Analytics on. If your account is not yet setup for Google Analytics, it will ask you to Sign Up. Just click Sign Up to to go the next page. If you already have a Google Analytics account, you can do the following instead. Click Admin, which is at the bottom-left of the page. In the Account column, click the dropdown menu and select Create New Account. Think of this as the category under which your websites are sorted. We recommend you set your brand name as the account name so that if you have multiple brands and websites, you categorize each website under their respective brand/account names. This is the name of the website that you wish to track. Something you can recognize like "Main Site" or "Promo Site" would suffice. Put in the URL (web address) of the site you wish to track. 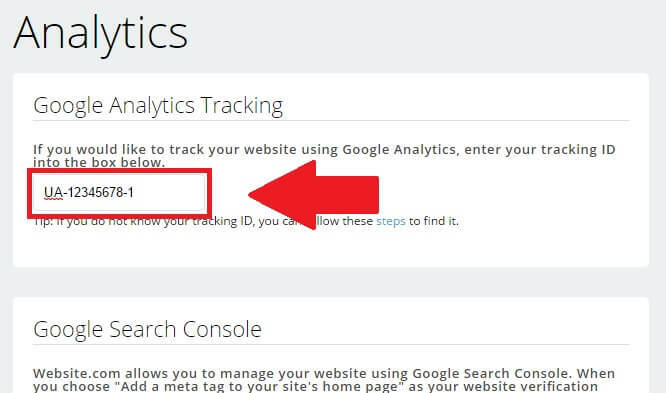 Once you're done, click the Get Tracking ID button that's at the bottom of the page and agree to the Google Analytics Terms of Service. You will now be given the Tracking ID. 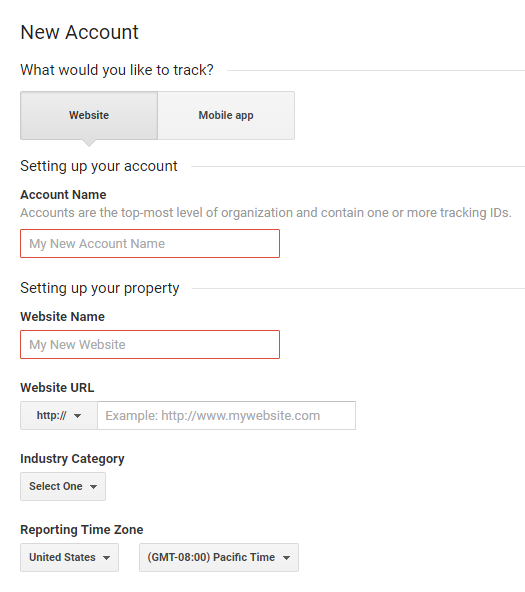 Just copy and paste the Tracking ID to the Google Analytics Code section of the site builder. You can find the Google Analytics Code section by clicking Site that's in the top toolbar, then Site Settings, and finally SEO & Analytics. Once you're done pasting your Tracking ID, remember to click Save that's at the bottom of the page. 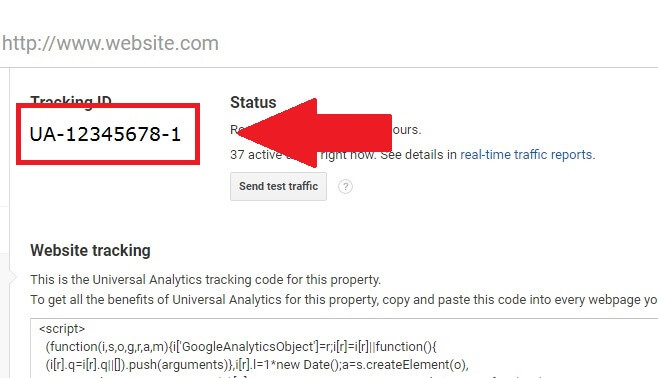 If you ever lose your Tracking ID, you can find it in Google Analytics by going to Admin, then Tracking Info, and finally Tracking Code.